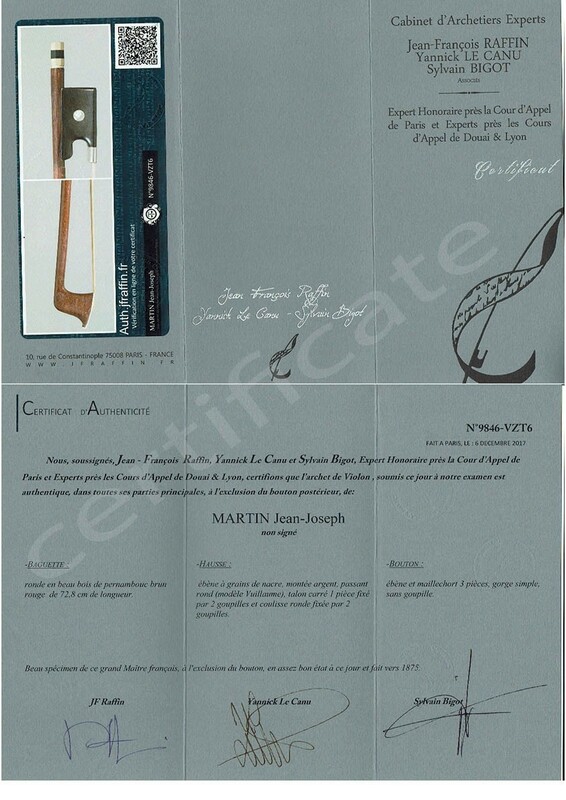 Jean Jospeh Martin violin bow, A French violin bow, certified by Raffin. 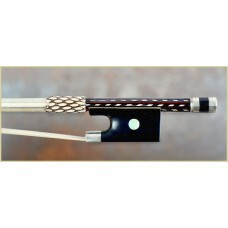 A fine French silver mounted violin bow by Jean Joseph Martin - 1870. 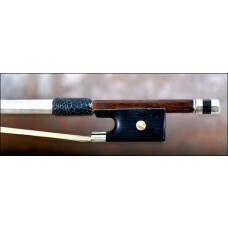 Beautiful professional silver mounted violin bow - made ca 1875 - certified by J.F. Raffin. J.J. MARTIN came back to Mirecourt (1863) to open his own workshop. Fine craftsmanship - his Vuillaume model bows from this period were to become amongst the best ever produced for the firm. The beautiful rond stick is made of the finest brownisch/red pernambuco wood. The stick has a fine curve, is strong and flexible with a good balance. 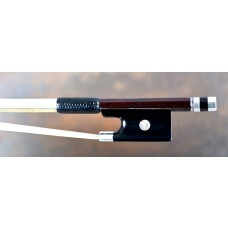 This bow plays easy and produces a big full violin sound - easy fast staccato playing. 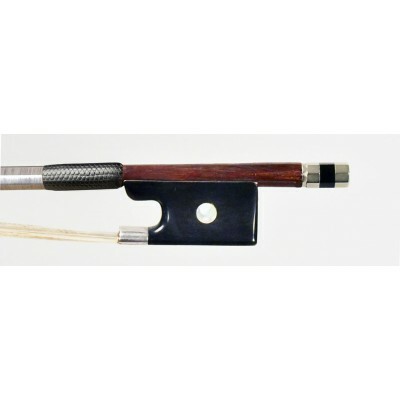 The length of the stick is around 72.8 cm (4/4 size) and the weight of the bow is ca 60 gr. Jean Joseph Martin - (b. Mirecourt (Vosges) 1837 - d. Paris 1910) was a French Archetier / Bowmaker. Served his apprenticeship with Nicolas Remy Maire. 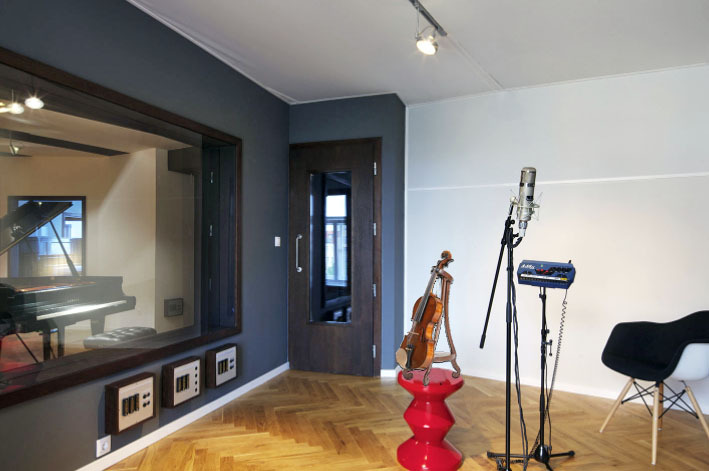 In 1858 left Mirecourt for Paris to join Jean-Baptiste Vuillaume's workshop. Five years later, JJ MARTIN came back to Mirecourt (1863) to open his own workshop. He also worked with Jérôme THIBOUVILLE LAMY as they asked for his collaboration to build up their bow production. For a brief time, Martin also worked as director for another workshop in Mirecourt by Emile MENNESSON, with the "Sainte Cécile" insignia. From that period one can find bows stamped J. Guarini. 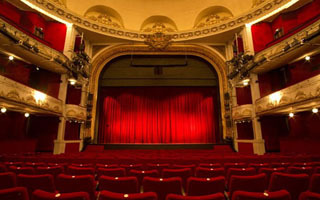 When MENNESSON decided to transfer his activity to Reims, J.J. Martin took over the workshop and continued the production for a while. Among his collaborators (in his shop) was Joseph Arthur Vigneron. (from Wikipedia).